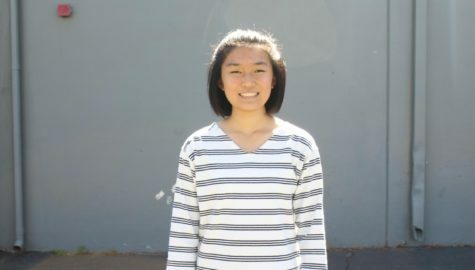 Head Sports editor and pun master Eden Yu is a junior attending CHS, and this is her third year on the Wolfpacket staff. While she enjoys making pages for the Wolfpacket, Yu also enjoys sports photography; devouring every possible type of noodle including but not limited to ramen, udon, pasta, lasagna, wonton noodle soup, chicken noodle soup, pho, cup noodles, chow mein, and linguine; filming and editing videos; experimenting with graphic design; running, playing soccer, and biking with her friends; hanging out with her youth group; and listening to many different genres of music, including Latin, Korean, and American pop. Not only does she take photos of sports (e.g. cross-country), she also enjoys taking pictures of stunning sunsets and cool candids of her friends. She is proud to be a part of Common Good Tutors and the Nature & Wildlife Club at CHS.